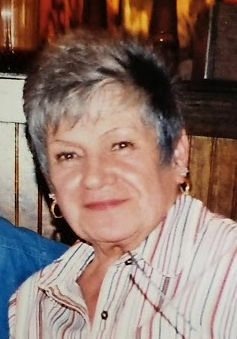 Norma Jean Egan, age 82, of Springfield, IL, formerly of East St. Louis, IL, born on August 4, 1936 in East St. Louis, IL, died on Monday, February 11, 2019 at Sunny Acres Nursing Home, Petersburg, IL. Norma Jean retired as an engineering clerk after 30 years of service with IIlinois Bell, and later AT&T. She was a member of the Telephone Pioneers of America. She was preceded in death by her parents, John Henry and Rose Catherine, nee Knab, Egan; her two brothers, James John Egan and WiIliam Harold Egan; her sister, Rosemary Egan; and her longtime friend, Mary Ann Martinez. Norma is survived by her dear friend, Dee Oster of Springfield IL; her sister-in-law, Mary Jane Egan; niece Patricia (Dave) Hamilton, nephew, Robert (Tricia) Egan; half-sister Susan Egan; and her great-nephew, Kyle Hamilton. In memory of Norma, donations can be made to any animal shelter of your choice. Graveside service will be held at 11:00 a.m. on Friday, February 15, 2019 at Mt. Carmel Cemetery, Belleville, IL.